One of the best parts of being on Twitter has been learning more about the great independent developer community we have in Canada. There is an incredible camaraderie shared by these talented entities, and they are very prone to sharing their knowledge and experience with each other – something I don’t generally see with the bigger conglomerate studios, although I have seen such sharing amongst those designers who are employed by EA, Ubisoft and THQ studios (to name a few), it’s not to the same extent shared by the independents. Naturally, this could be due to contractual agreements and requirements put in place by the big studios, which is understandable for proprietary areas, but experience and knowledge never shared impedes the advancement of our digital industry. Perhaps it is because in smaller, independent studios everyone is accountable for the success (or failure) of their creations, and this in turn leads to working at improving their publicity efforts as well as their end product. The sharing of opportunity is something else I see much of between the indies, and it’s because of this that I have been able to discover and share information about studios and Canadian-made products that I may have never found if it weren’t for the folks on Twitter passing on leads and links to me, because I, too am an independent, and appreciate the assistance I am given and battle daily to catch up on indie titles I need to play and review, as well as keep up on the news. One such discovery was sent my way yesterday by Celsius Game Studio. Chaotic Box touts itself as a one man game making machine. The man behind the machine is Torontonian Frank Condello, and true to the independent genre, he is Chaotic Box’s developer, 2D/3D artist, music & sound designer. Chaotic Box has released four titles for the iPhone/iPod Touch/iPad: Flooid, Pollywog, Pinch n Pop, and his newest title, Silverfish, which is currently on sale in the iTunes App Store for $1.99 USD. 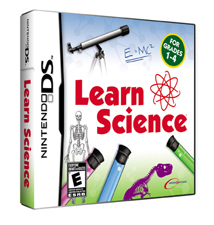 DreamCatcher Games is happy to announce the release of Learn Science for Nintendo DS™ just in time for the holiday season! Learn Science let‘s kids learn while having fun. Learn the basic principles of: Light and Sound, Physics, The human body, Biology and Geography while playing a variety of engaging mini-games. Unlock new mini-games by scoring high marks in Career Mode and then perfect your skills by mastering unlocked mini-games in Game Mode on one of 3 difficulty levels. Kids can challenge their friends in multiplayer mini-games, or they can co-operate and challenge the AI. Learn Science is priced at $19.99 USD and is available in retail stores across North America. Rated ‘E’ for everyone. Get Set Games has just announced that their hit title Mega Jump will be coming to Android in the next couple of weeks. 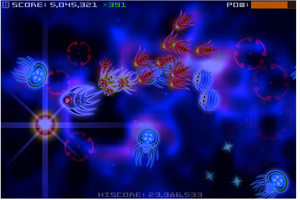 Mega Jump is compatible with Android 2.0 and up and will be free to download. Mega Jump for Android makes use of OpenFeint’s great social gaming features including global high scores and unlockable achievements. Congratulations again to Vancouver start-up Ayogo Games Inc., who won the prestigious “Hottest Digital Media Company in Canada” title at nextMedia in Toronto last week. Ayogo’s latest Facebook® game, called HealthSeeker™, was the entry that helped win the hotly-contested award. The game is built on Ayogo’s GoodLife Gamification Engine™, and aims to help people living with diabetes habituate healthier behaviour around diet and exercise. Michael Fergusson, CEO of Ayogo, was excited to accept the award. Xona Games, that very talented and award-winning indie team who has been creating some of the most critically-acclaimed indie arcade games to date, announced today that the first of its two Xbox LIVE Indie Games launching this week, Decimation X3, is now available for only for 80 Microsoft Points ($1 USD)! 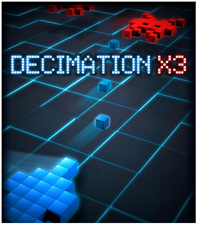 Having been chosen to be a main title featured in the Indie Games Winter Uprising, Decimation X3 features intense shoot-em-up action in a ridiculously affordable package. Ubisoft has announced that Your Shape: Fitness Evolved will offer new exclusive workouts and fitness programs available on the Xbox LIVE® Marketplace for the Xbox 360®. This entry was posted on Wednesday, December 8th, 2010 at 11:32 am and is filed under Action Adventure, Casual, Digital Products, Educational, Everyone, Everyone 10+, Game Dev, Mobile, National News, New Releases, Shooters, Simulations, Social Media, Sports, Studios, Upcoming Releases. You can follow any responses to this entry through the RSS 2.0 feed. You can leave a response, or trackback from your own site.